I want to be a better embroiderer! Raise your hand if you would like to move your skills to the next level in embroidery! I get to vote twice because it is my blog. . . .
All around the Internet and my neighborhood embroidery shops I see everyone stretching themselves with new designs and techniques. We are trying to do things that were merely ideas just a few years ago. 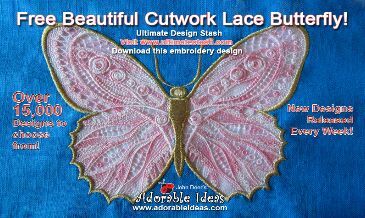 Free Standing Lace is not the only WOW factor in embroidery. There is placing bling in and around designs, creating 3 dimensional flowers, stitching an animal where you can see each hair lying in perfect position to mention just a few. I loved doing embroidery with my grandmother. We did pillow cases for my Hope Chest and towels that would eventually find their way into the kitchen to dry dishes after daily or special family dinners. It was very important to her and she passed the love on to me. I think it skipped a generation but my mother could crochet with the best of the best! I had been wanting to make my sales site at Etsy more interesting for brides for a long time. I was doing things such as writing my own text. I have a couple of them I am exceptionally proud of, this one for a flower girl kept yelling at me in my head the opening line - Your smile completes my special day - . I would have loved to tell a little girl just exactly that. She would have the hankie to use on her wedding day as well, at least I hope. Next, using my AlphaXpress, writing is easy and beautiful. It is adjustable in so many ways. You can read my ad hoc 'manual' that I posted right here on AnnTheGran. AlphaXpress is the most simple to use of so many programs that are more expensive with steep learning curves. I am adding embellishments to my items that are 'no charge' at this time. I think I can charge for it but for now, I am delighted to offer simple and beautiful adornments at the end of the hankies I sell. There are seven (7) DVDs (DVDs, not to listen to but to see and learn from) and one CD that has the files you will be working with. Cost Effective! If you went to a Community College and took 2 semesters at 3 Credit Hours (@ $36.00 per credit hour =$216. here in San Diego) Plus incidental costs like gas, supplies and snacks for the kids. . . The information is NOT software specific. 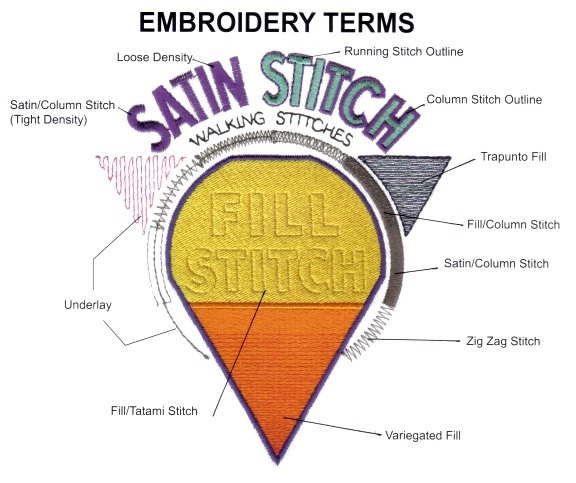 Understanding the ins and outs of embroidery that any embroiderer can benefit from. The 'bundle' (some people are over using this word, but in this case, it is true!) 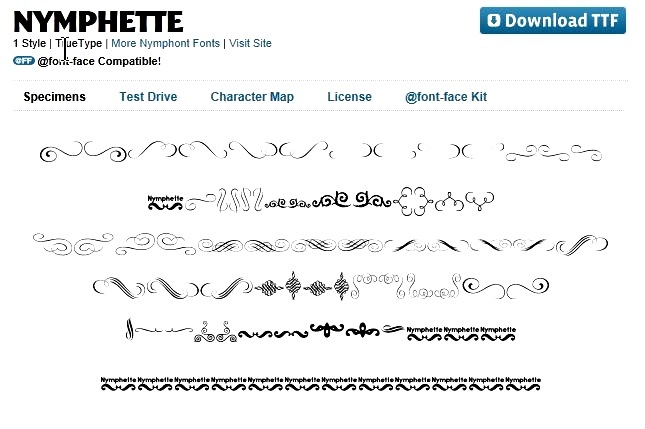 takes you from basics to detailed digitizing like animals and fully featured designs. John instructs in a very relaxed, comfortable style as if you were having coffee with a friend. I really could go on an on with the excellence that this program has been produced. Quality is always appreciated. 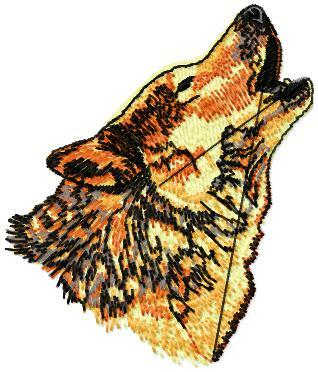 I am working my way through the package and already I have learned a great deal about embroidery, not just digitizing. I can tell a good digitizing from one that is mediocre. I thought I understood "push/pull" control but now I really understand its part in the workings. Letterings is my 'thing' and I am getting better at it as well. If John or one of his crew is having a seminar in your area, be sure to see the dynamics at work. 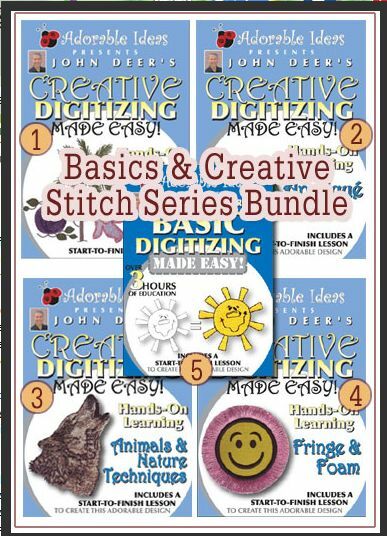 Additionally, if you get your Creative Digitizing Educational Bundle here at Ann's for $129.95 right now, you will be prepared to talk during the breaks with the very knowledgeable people who are there to help you. Being ready to talk with experts makes those events even more valuable. So, VALUE is the word for the day. Sometimes I am asked if I am paid to make comments about products. While AnnTheGran does pay me for creating a blog, these are my experiences only. I would not ever compliment something I did not try and LIKE. I really do like this training. I know I am going to be a better embroiderer. I never think of embroidery as work, it is a labor of love and embroiders are the BEST! The Avid Embroiderer Presents - Build a Better Mouse Trap - Do You Catch A Better Mouse?The Avid Embroiderer Presents - Build a Better Mouse Trap - Do You Catch A Better Mouse?Every newbie wants to know…We are excited to have Eileen Roche, Editor of Designs in Machine Embroidery share this co...The Avid Embroiderer Presents - 10 Tips and Tricks that will make your embroidery better and a St. Patrick's Day freebie.Pat is sharing 10 of her unique tips with you and a freebie just for fun. appreciate a correction so that i can download and try it. thank you! when I tried the butterfly download, it says site owner has exceeded bandwidth. do i have to try another day? another hour? please let us know. thanks. I will check into the Free butterfly. The link has been fixed. I am sorry for any inconvenience. Embroidery Advisor Presents : In the Hoop Christmas Gift Tags Christmas Cookies—in July!